I remember 1991 as if it was yesterday. I was almost 16 then. The six years that followed were the only glimmer of peace and hope for a whole three generations of us Eritreans. And so, every now and then, my thoughts fly back nostalgically to those first 6 years of independence. Back then, when hope was alive, we had no doubt in our minds that we could heal a war-scarred country and chart a new and perpetually hopeful future. Almost three decades later, when I juxtapose the dreams of ’91 against what I see today, I see how far apart the two worlds are and it breaks my heart. The shattered dreams, the compromised pride and the muddied dignity is laid bare for everyone to see. And that in a culture that professes “kebdikha(n) Hamli ml’ayo zbanka(n) wedebo ayir’ayo”. Our dignity, after being trampled for two decades, hope is worn thin and our sense of identity as Eritreans is losing its colors. I could go on and on and on… describing how hurt and unfortunate we have been. But, that would also mean a tacit admission to forfeiting our individual and collective agency to influence, alter and chart our destiny as a country and people. Most of our discourses center around expecting the people who ascended into power to fulfill our demand. When they chose to trample our rights, ignore our plight and deny what is rightfully ours we voted with our feet. There is nothing wrong with self-preservation but once we reached safety, it at least is expected of us to raise our voice in defense of our rights and our home. If a person invades his neighbor’s house, any dignified family would defend their home with all they have got. We Eritreans have the obligation to re-ascertain the ownership of our home and make sure that any current and future political leadership treats Eritreans as citizens and not as its subjects. The reversal of current trends of national anxiety requires a bold engagement and enduring commitment. I am a firm believer in our potential ability to reverse the current curse and build a future we can be proud of. For this to happen, though, we first have to take charge and commit ourselves to the cause. One-to-one, we often discuss at great length about the dire situation we are in as people, and we hypothesize about the solutions. However, we do so in an inanimate and detached manner with no sense of urgency as if these existential threats are foreign or hypothetical. For the last 20 years, we have never had news of hope and betterment except despair and anguish. For too long, bad and worse news of our loved ones alternated. The prolonged state of sorrow we have been exposed to has sanitized us to the level of numbness that we no longer show outrage even at the most horrific of tragedies. The saddest thing is that we have not tried in earnest to alter the outcome in our favor. Do we really then deserve a better country if we do not invest our time, energy and knowledge to mend it in times of need? After all we have been through, don’t we deserve a lot better? As Eritreans, the choices in front of us have never been clearer. The future of Eritrea is at stake. I implore each of us to weigh in our conscience the options ahead of us and name our price. How much and how far are we willing to go to change our predicament? 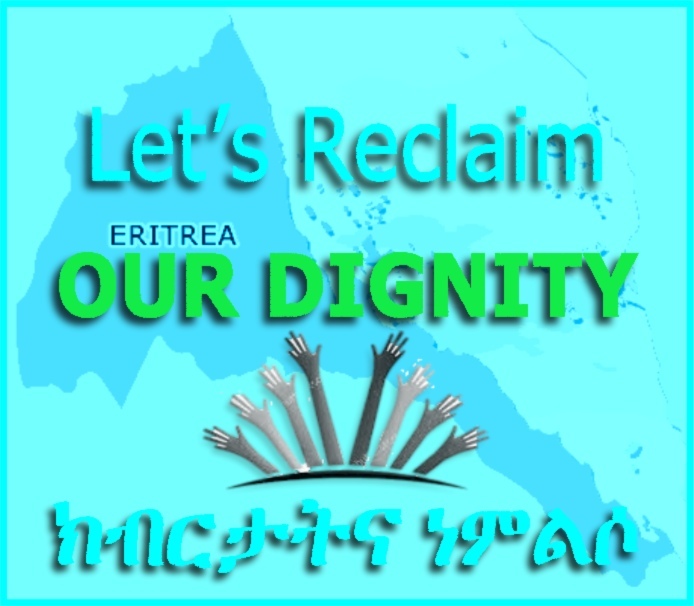 If the answer is that you will do what it takes to restore our dignity and built an Eritrea that is just, equitable and at peace with itself, let’s join hands and work together to realize it. On my part, my arm is eagerly stretched out to lock with yours. I have as many ideas and questions as the next person on how we can coordinate our efforts, set our priorities and maximize our impact. I am, however, confident that we will sort them out once we come together. So, let us come together, organize ourselves and create a platform. We can then use the platform to advocate for the wellbeing of our people and sovereignty of our country. Our engagement will certainly embolden and energize our younger brothers and sisters who look up to us. When waiting game is the strategy of the counterpart, fatigue will set in faster if we ran solo instead of relaying the baton and share the burden collectively. We can set better examples if we stand together and inspire one another. We are more likely to stay the course, have a better impact and a louder voice when we are organized. If you have as much trust in our collective resolve as I do, the future is bright for us. We know the source of our ills. Better yet, we know our cure. What is probably missing is a sense of purpose, sense of urgency and determined will. The window of opportunity to save our country is not going to stay open forever. Let’s act on it while we still can. ቃልሲ ንፍትሒ ኣድማዒ ንኺኸውን: ኤርትራዊ እንታይ ኪገብር ኣሎዎ?